with New Art Centre, London. 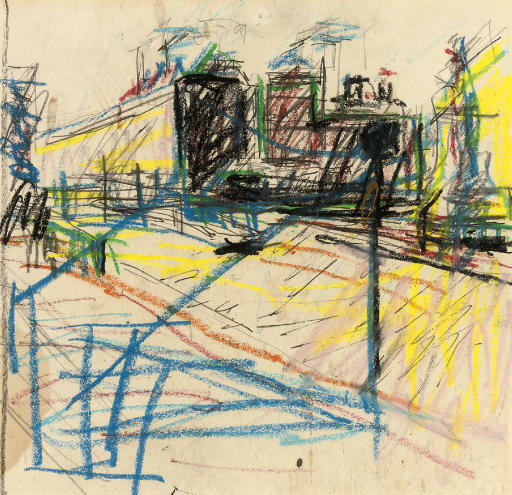 In 1972 and 1973, Auerbach made several sketches and paintings of this view of the station at Mornington Crescent in North London. Although not officially a series of works, Mornington Crescent reappears throughout his work on many occasions, and he has captured it all times of day and in varying weather conditions. Like Walter Sickert before him, Auerbach's studio is nearby. A gift from the artist to the sculptor, Clive Barker.